There is lots of buzz about how the cloud is the new big thing, but most of the time there isn’t a great explanation of how the cloud will actually affect your business. The computing needs of a company can fluctuate significantly throughout the year. As summer turns to fall and people stop going outside, Netflix is going to need more capacity as people turn to their indoor entertainment options. Those servers were idle for the summer, requiring maintenance, upgrades, and space the entire time. Other businesses experience more extreme fluctuations. Wal-Mart will experience a huge spike in web traffic as we approach the holiday season. Before the cloud, they would need to invest in the capacity to handle perhaps five times their regular traffic to handle these peaks, with all the maintenance costs, personnel, upgrades, and storage that it requires. Not to mention the increased workload in HR and accounting departments that an IT department will generate. With cloud hosting, you purchase whatever capacity you need at the moment, and scale up or down as you need to manage your costs. What cloud hosting does to computing can be compared to electricity. Building your own power plant, hiring workers to maintain it and manage it, and then maintaining the capacity that you will need at peak demand indefinitely, far exceeds the cost of paying a power company to handle all of that for you. The total cost of ownership of the service is less. 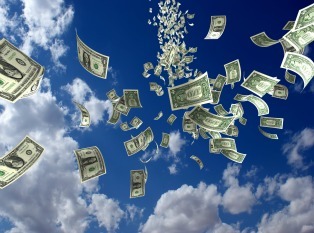 There is another major benefit in that a cloud provider makes your IT costs predictable. There are no unexpected costs if a server breaks, or if an IT employee needs maternity leave. There isn’t even a risk of downtime, in that cloud companies are large enough to have redundancies that protect their clients from a loss of service. It also reduces risk by decreasing capital expenditure for new projects. Smaller businesses can experiment with new infrastructures, software, or platforms, without buying the whole cow to get the milk sample, and later integrate those systems fully without having to negotiate for a lot of investment capital. All of that comes with an actual increase in the quality of service. You effectively share your costs with other clients, which generates enough income for cloud providers to keep your services at the cutting edge. This means you aren’t chained to your expensive private system that may not be able to meet the changing needs of your business. This decrease in cost and increase in quality of service is driving a revolution in IT, where IT departments are abandoning their traditional monitoring and coding roles to become integrated as consultants for the application of technology in achieving regular business objectives.